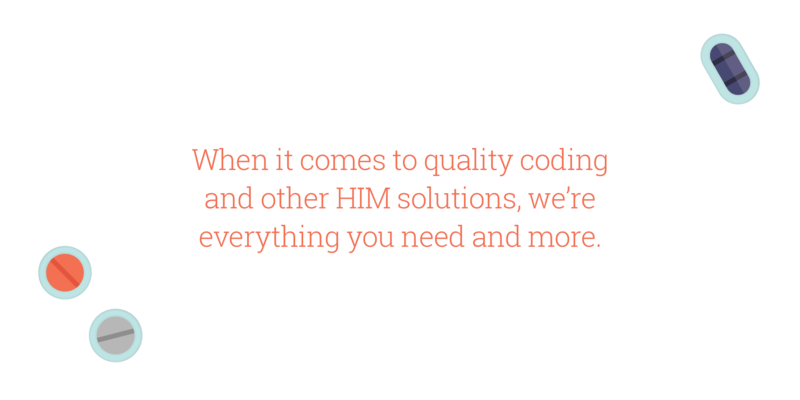 We signed on with a carve out of a staffing firm to rebrand the medical Health Information Management (HIM) coding portion of that company, at the request of the private equity firm that bought it. 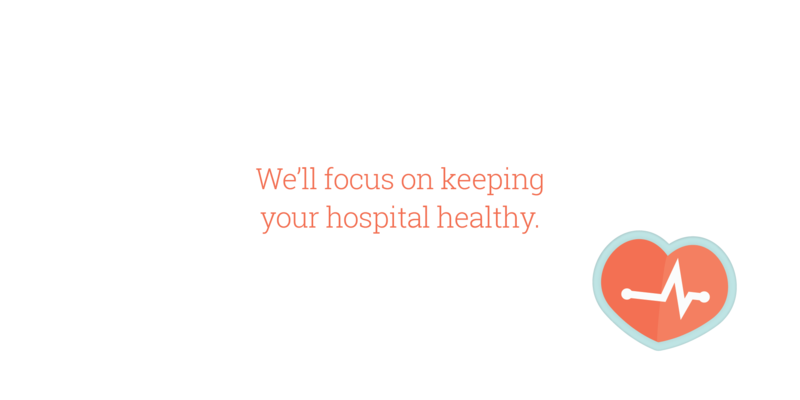 We met with their team for our typical discovery session in order to immerse ourselves in the brand and discover how to best speak directly to executive decision makers within a hospital group. 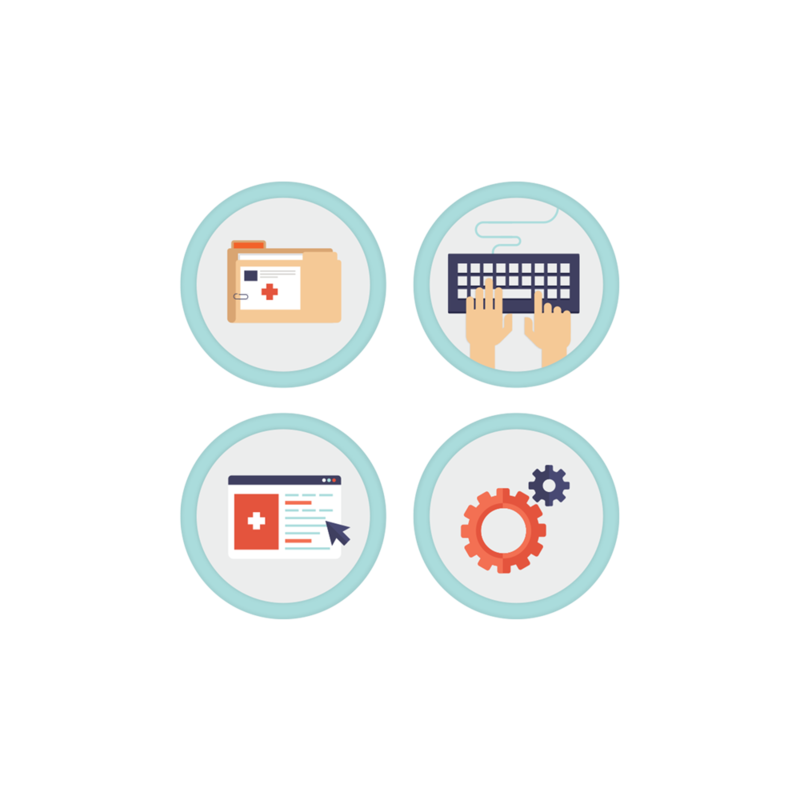 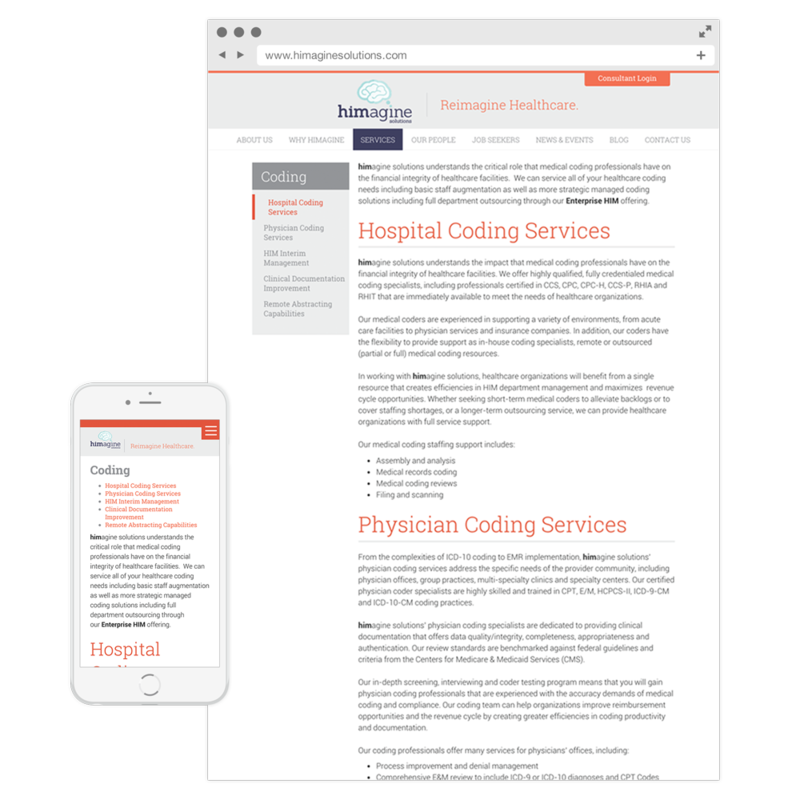 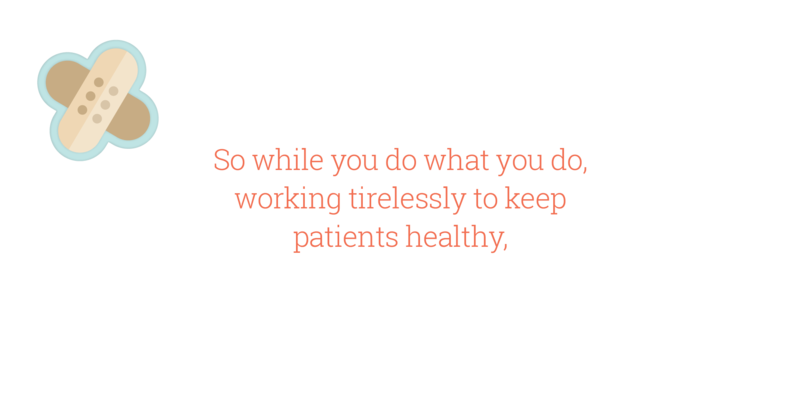 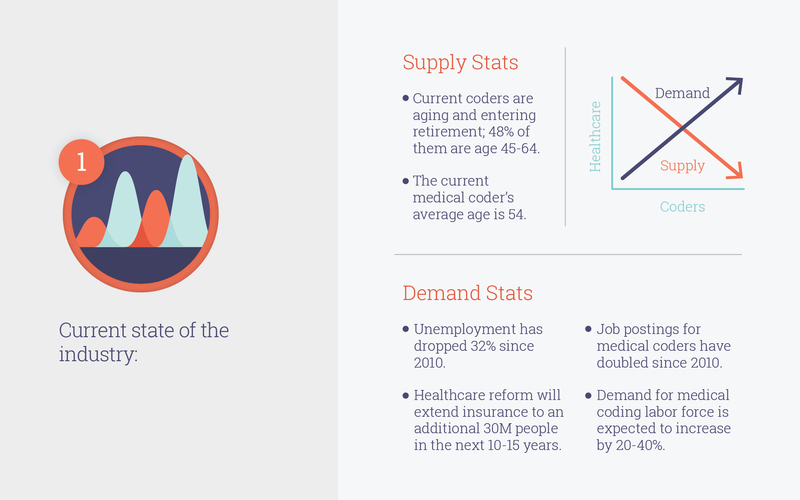 With the industry moving to a new system of medical coding, hospital systems need an experienced partner who can provide quality coding and other HIM solutions to help keep their hospital healthy. 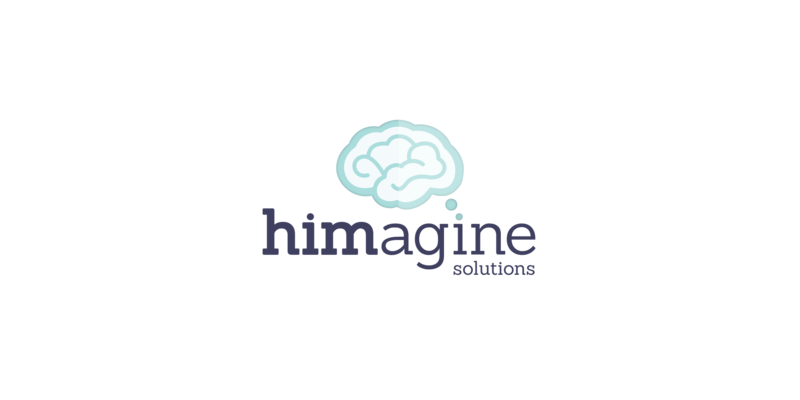 They need himagine. 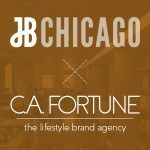 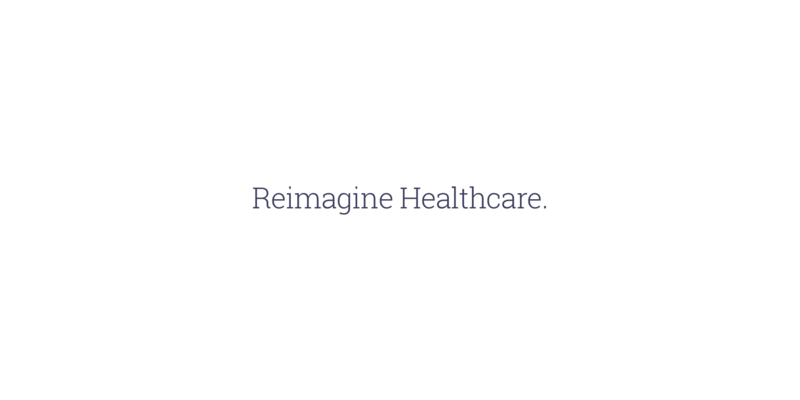 This new name helps both describe the company purpose and position it as an industry leader in HIM coding and consulting, working hand in hand with the hospital group to navigate operational challenges. 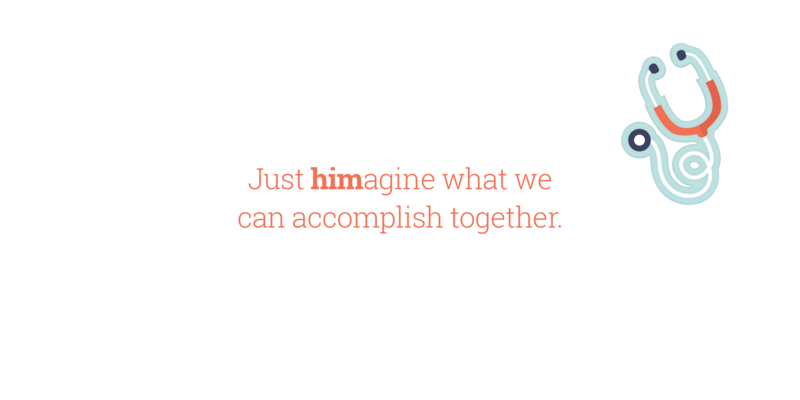 And the tagline reinforces it: Just himagine what we can accomplish together. 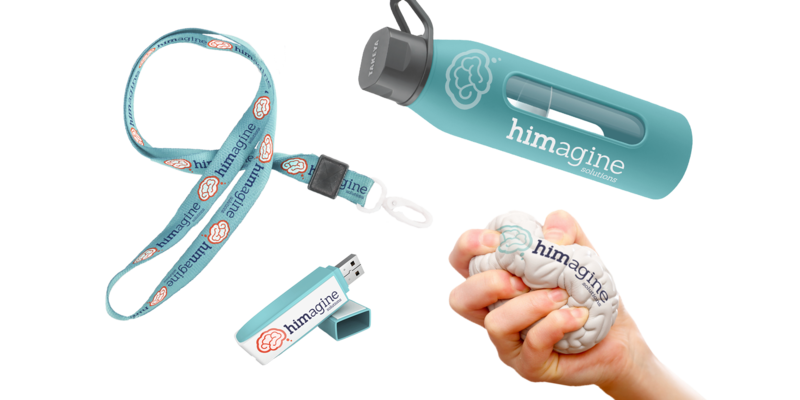 In order to give a fresh look to the usually stale world of healthcare, we developed this exciting palette for himagine, using bold and bright colors while staying friendly and approachable. 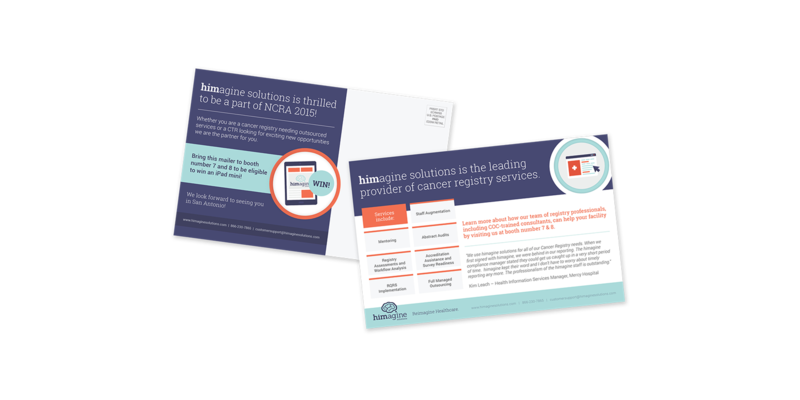 To go along with the new palette, we developed a family of healthcare-focused icons to use across their marketing materials. 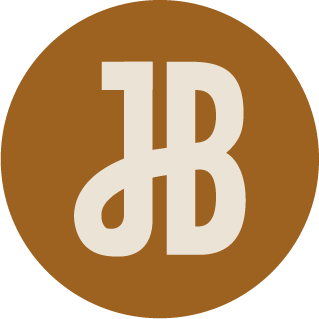 The website is where we let our icons shine. 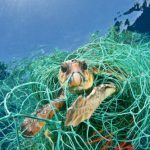 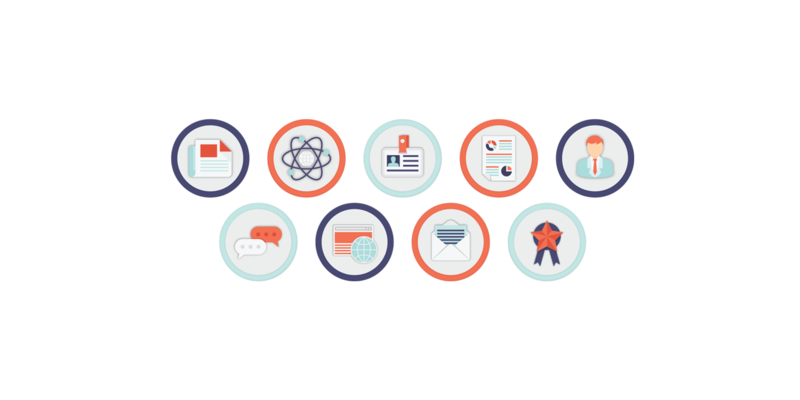 Each main call to action has its own unique icon with our color palette applied. 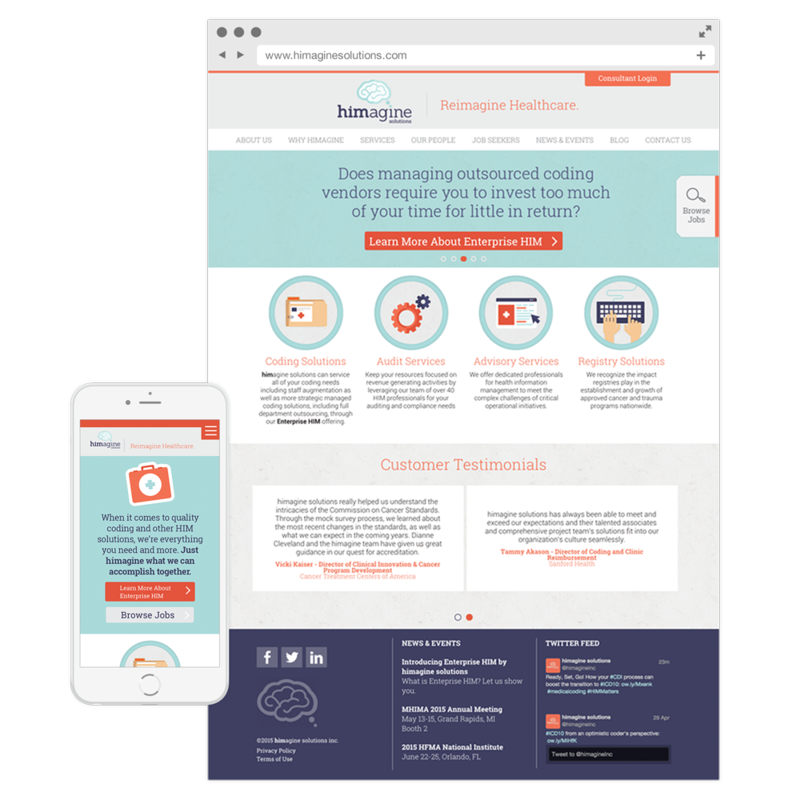 We kept the type nice and simple and used coloring for hierarchy so you can clearly find what you need when you are viewing the secondary pages. 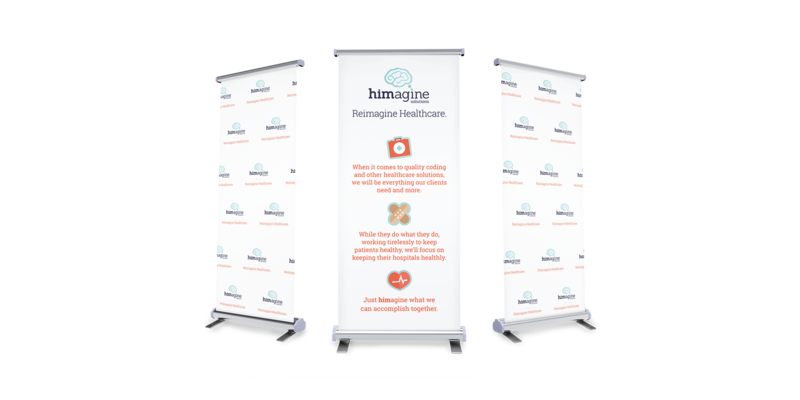 While working with himagine, we unearthed the beginnings of a larger movement within the healthcare space and coined the name Enterprise HIM. 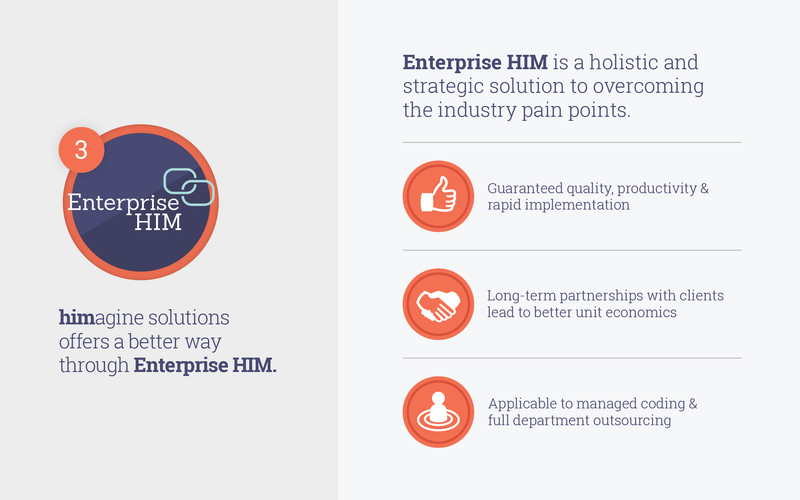 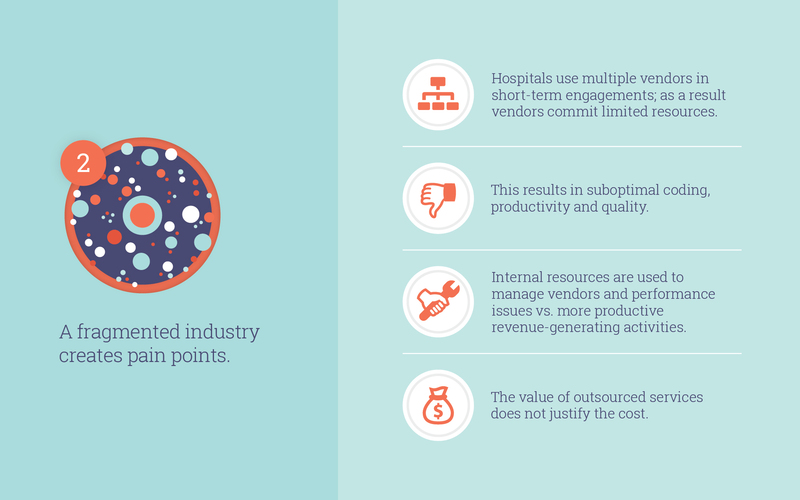 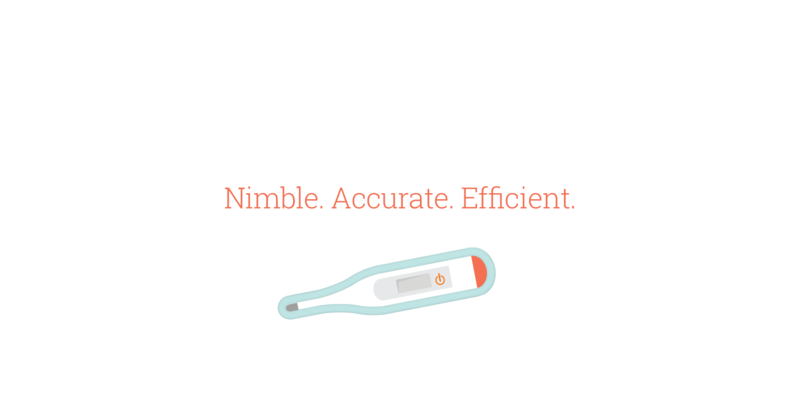 This idea illustrates how hospitals can benefit from himagine’s more strategic and holistic approach to HIM outsourcing. 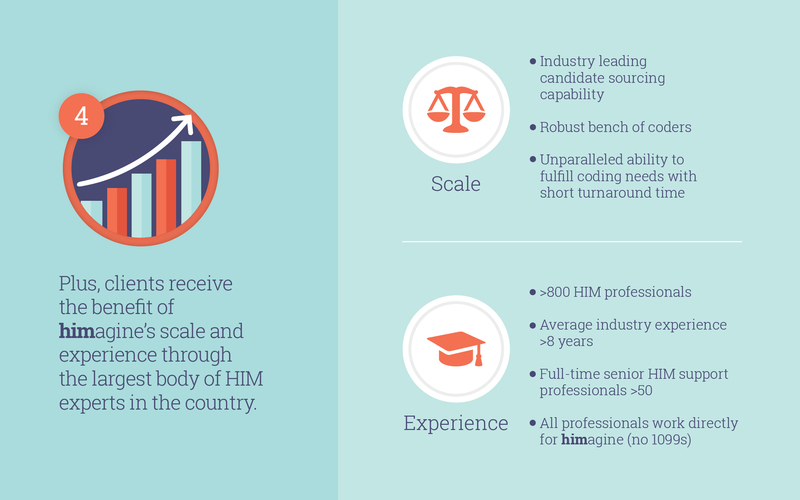 Assisting himagine in developing the name, copy, tone and graphics for Enterprise HIM was a collaborative effort that challenged us to streamline complex technical information into a comprehensive infographic.